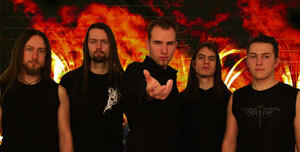 Serenity is a Progressive Power Metal Band from Wörgl, Austria. They have released two self produced albums, named Starseed V.R. (2002) and Engraved Within (2005). In 2007 they joined the Austrian metal label Napalm Records. Their new album, Words Untold & Dreams Unlived was released on 27th April.